Mikao Usui was born, in 1865, into a privileged Samurai family in Japan. He was a Tendai Buddhist who became a Buddhist priest. He was also a martial artist. From the age of twelve he started training in aiki justu, and eventually gained a high ranking. He was married with children, and loved study and travel. This Reiki Ryōhō, or spiritual energy healing method, is the foundation for what we practice today as Reiki. Usui formed the Usui Reiki Ryōhō Gakkai a month after his experience on kurama yama, in 1922, in an attempt to reach a wider audience with his spiritual blessings. Twenty-one of his students reached the level of shinpiden, the highest level of teachings. In 1926, Usui became unexpectedly ill, and died of a stroke, aged 62. Usui’s teaching was not formalised, but gave mantras, symbols, spiritual practices and healing techniques depending on his students’ needs. His focus was more on spiritual enlightenment than healing. It was through one of Usui’s students, Chūjirō Hayashi, that the teaching was formalised and focused more on healing. Hayashi’s system included the initiations that we see today in most branches of Reiki. These initiations include the use of symbols and mantras and allow the student to learn over a shorter period of time, without any obligation to attend ongoing meetings. This is unlike Usui’s initiations, which were given repeatedly over an extended period of time. As part of his attempt to systematise Reiki, he produced a manual, the Ryōhō Shishin, which included complex hand positions for various diseases. Given that Hayashi was a medical doctor, it is no surprise that his guide reflects anatomical knowledge. 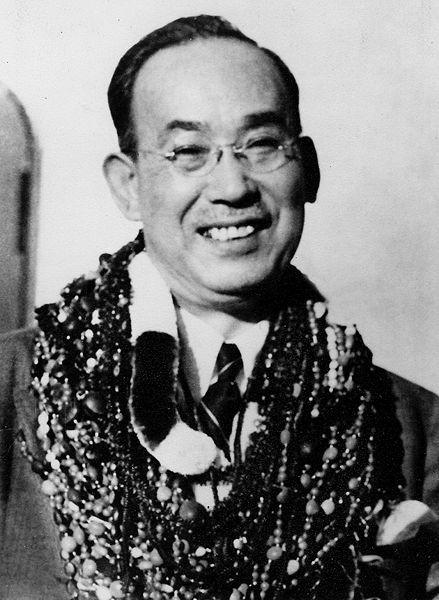 Hayashi’s system differed from that of Usui. To reflect that he had changed the teachings to a certain extent, it was appropriate for him to give his system a different name, Hayashi Reiki Kenkyu kai (Hayashi Spiritual Energy Research Centre). We do not need to go on an endless quest to find the true, original teachings of Reiki, because the changes that have been made by Hayashi have proven their worth over the generations of Reiki practitioners since his day. The teachings were changed yet again when they went through Hawayo Takata, before spreading like fire throughout the world. Hawayo Takata is a name inextricably linked to Reiki. Through her strong, inimitable character, Reiki became a worldwide phenomenon, rather than a closely-guarded secret limited by Japan’s borders. Born in Hawaii to Japanese parents, she grew-up in a simple village, her father working as a cane cutter. She married and had two daughters before her husband died young at 35. Five years after this, Takata was at a low, suffering from asthma and abdominal problems, and finding walking difficult. Takata elected to undergo surgery at a hospital in Tokyo for a tumour, gallstones, and other problems. As she lay on the operating table, she heard a voice which said that the operation was unnecessary, and that she should enquire into alternatives. Takata asked the surgeon, Dr. Maeda, who contacted her sister, Mrs. Shimura, who was the hospital dietician. She directed Takata to Hayashi’s clinic of drug-less healing. Two practitioners worked on Takata. She was intrigued, and wanted to know whether it was electrical or magnetic technology that was creating the heat and vibrations in the hands of the practitioners. Through weeks of daily treatment, Takata felt significantly better, and was eager to become a student. This however was not open to her, a foreigner, but thanks to her persistence, Hayashi relented. Takata spent several months receiving treatments and then another year studying and practising. Learning Reiki then was not structured into the bite-sized courses that we see today. When she finished her practitioner training, she took Reiki to Hawaii. Hayashi followed her with his daughter, and stayed for six months while she set-up her practice in Honolulu. When he left, Hayashi announced that Takata was a Master of Reiki: his last teacher student. Takata taught the five precepts. (We can be confident that these were and still are the same as those taught by Usui because they are carved on his memorial stone.) She said that Reiki was an oral tradition, and forbade students from making notes in classes or writing down the symbols she taught. Nevertheless, she had a copy of Hayashi’s manual, which she gave to a number of her students, and fortunately some of her students made notes after classes. Takata gave four initiations at level one (which students received over four successive evening classes), one for level two, and one for level three. It is reported that there were up to forty students on a level one course, and that one course of ten students only lasted two hours! Takata was a success. She knew how to promote Reiki, how to work hard, and how to make money. She charged 10,000 US dollars, a huge amount at that time, for the teacher level. There is no evidence that Takata used the chakra system, which is likely to have been added to the system by her students as the New Age movement gained popularity during the seventies. The chakra system, however, is easy to grasp, and it provides an easy way to visualise and understand the complex interactions of energy that take place in your body. It is therefore a proven asset to the system of Reiki. The use of crystals, pendulums, references to past lives, and many other New Age ideas have been grafted onto the Reiki system since Takata’s passing. Whether you learn these additions depends on the teacher you have chosen. I am initiating you into the lineage that is called Usui Shiki Ryōhō, which is the name the system was given under Takata and continued by the Reiki Alliance. What you will learn with me includes some additions, especially the chakra system, but as far as possible I keep the teachings true to Reiki’s roots, with greatest respect for the wisdom we have been given by Usui, Hayashi and Takata. The history you read here is based on extensive research done by several Reiki practitioners, and is largely drawn from work done by Bronwen and Frans Stiene in their excellent resource The Reiki Sourcebook. Another excellent place to look for well-researched information is aetw.org.